What do you think: Do women pee in the woods? and blowing in the cool mountain breeze. When they take a nature break, nature gets a break too. No unnatural leavings. No trace of their passing. Now you can join these enlightened women, and "go" in style. Check out our colorful, absorbent, and antimicrobial pee rag options. We're introducing the fabulous WeeRag, a soft spongy natural viscose shammy towel to use by itself or in combination with colorful fabrics and artistic designs. 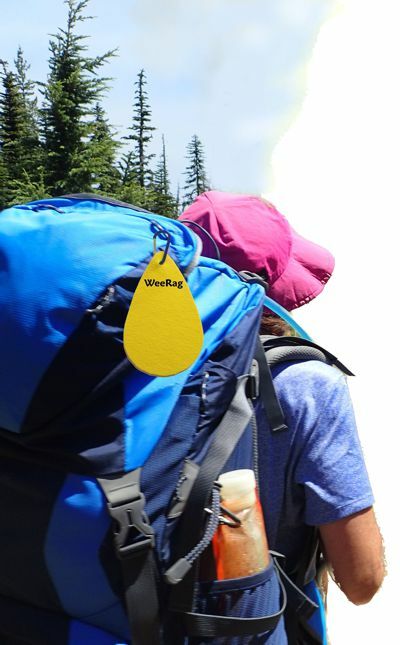 The WeeRag pee rag was developed through the partnership of a physician and life-long adventure athlete, and an engineer with a passion for creating eco-friendly solutions. WeeRag was designed to offer the best in hygiene, convenience, and the ultimate in leave-no-trace ethics. Be proud to fly your WeeRag flag!